According to the National Institutes of Health, in the United States alone, more than 53 million Americans suffer with osteoporosis, or are at risk for osteoporosis, the progressive debilitating medical condition that causes bone loss and the breakdown of bone tissue. Our bones are made of live, growing tissue, derived from the protein collagen. This protein creates the soft skeletal framework that supports the body. The mineral, “calcium phosphate” hardens the tissue that becomes bone. Elements of collagen and calcium phosphate provide both strength and flexibility to the skeletal structure. As we age, new bone is formed as existing bone is absorbed into the body. Up until about age 30, new growth occurs at a rate faster than bone is dissolved. After that, bone begins to deteriorate faster than it can be replaced. As this happens, bone becomes thinner. If optimal bone mineral density has not been reached during childhood or adolescence, the likelihood of developing osteoporosis increases. What is osteoporosis?—What part of the body is affected? 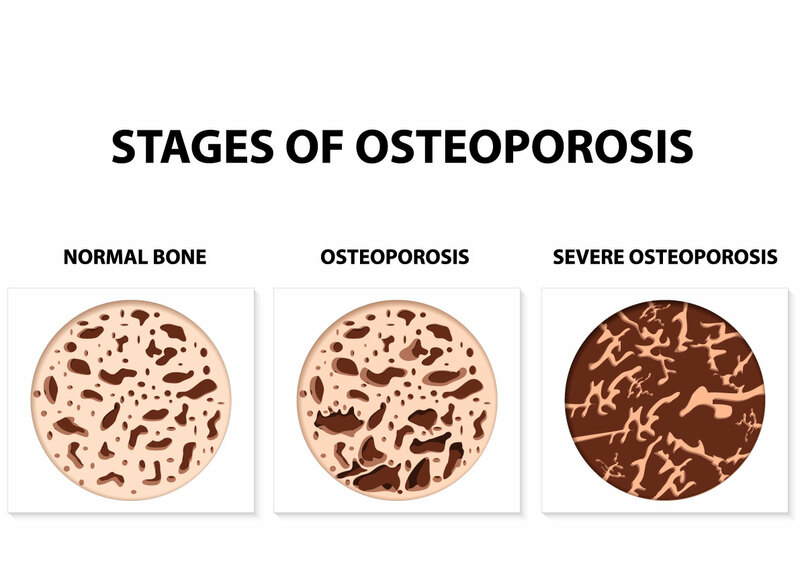 Osteoporosis, meaning “porous bone,” is a medical condition that causes the bones to become weak and brittle over time. This makes the body vulnerable to breaks and fractures in the hips, wrists and spine. According to the National Institutes of Health (NIH), approximately 34 million people in the nation are afflicted with osteoporosis. Additionally, 18 million Americans are at further risk for the disease and have low bone density. Known as the “silent disease” many individuals do not even know they have the condition until they suffer a fall or an injury. While it is possible to be afflicted with osteoporosis regardless of race, gender, or age, certain individuals are at a much higher risk of developing the disease. Because bone loss is progressive, early intervention is critical for effective osteoporosis treatment. A bone density test that x-rays the spine, hip, and forearm is commonly done. This measures the calcium content (and other minerals) in a particular bone segment. Information gleaned from a bone density test may be used to predict future risk of bone fractures, confirm a diagnosis of osteoporosis, or monitor ongoing treatment for bone loss. Regular screening is recommended for women age 60 and over, and men 70 and above. While researchers know that early childhood nutrition affects bone growth and overall skeletal health, it is not known how much consumption of certain vitamins and minerals, such as vitamin D is needed to help maintain optimal bone health. Researchers actively work to advance laboratory studies that may be helpful in determining if vitamin D supplementation is useful in preventing osteoporosis in individuals. While treatment options that strengthen bones and slow the progression of osteoporosis are available, it may be easier to prevent bone loss initially. Maintaining a diet rich in calcium and vitamin D is important at any age. Early prevention of osteoporosis when we are younger is essential to bone health later in life. It is important to incorporate exercise into our daily lives, but particularly critical to help prevent loss of bone through osteoporosis. Weight bearing exercise, including walking and weight lifting can contribute to the prevention of the disease. Early childhood exercise helps enhance bone mass. Continuing exercise helps maintain strong bones and muscles. New medications that slow down the rate of bone reabsorption may be used to treat osteoporosis. 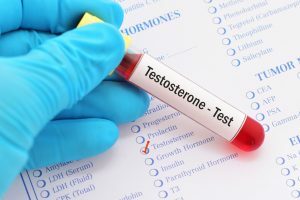 These include drugs such as, raloxifene (Evista), bisphosphonates such as risedronate (Actonel) and alendronate (Fosamax), and parathyroid hormone (Forteo). 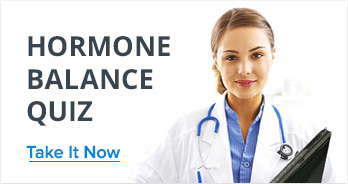 Some women may benefit from hormone therapies, designed to slow bone loss after menopause. This form of treatment is controversial however, because of the risk for breast cancer and stroke. Physicians generally agree that long-term benefits of HRT or ERT for osteoporosis must outweigh the risks. At present, two types of bone density scans exist. Central DEXA scans that target the spine and hip are considered the best tests to predict risk of future fractures. These utilize large scanners that pass over the lower half of the body. Peripheral DEXA scans use smaller, more portable machines that test the fingers, wrist, heel or leg. Protecting the body from painful deterioration is a lifelong challenge. Osteoporosis is a debilitating disease that affects millions of people every day. Preventative healthcare, proper nutrition that supports strong bones, and advanced screening for bone density work together to provide effective treatment. 1 A, 2013 (1997b) Osteoporosis. Available at: http://umm.edu/health/medical/altmed/condition/osteoporosis (Accessed: 31 December 2016). 2 Bone mineral density test (2016a) Available at: https://medlineplus.gov/ency/article/007197.htm (Accessed: 31 December 2016). 3 Division of metabolism, Endocrinology & diabetes (MEND): Department of internal medicine (2016a) Available at: http://www.med.umich.edu/intmed/endocrinology/patients/Osteoporosis.htm (Accessed: 31 December 2016). 4 Solutions, I. (no date) Osteoporosis – NIH osteoporosis and related bone diseases national resource center. Available at: https://www.niams.nih.gov/health_info/bone/Osteoporosis/default.asp (Accessed: 31 December 2016). 5 Staff, M.C. (2014) ‘Bone density test definition’, Mayoclinic, . 6 (No Date) Available at: https://www.niams.nih.gov/Health_Info/Bone/Osteoporosis/overview.asp] (Accessed: 31 December 2016a). 7 (No Date) Available at: http://www.uwosteoporosis.org] (Accessed: 31 December 2016c). 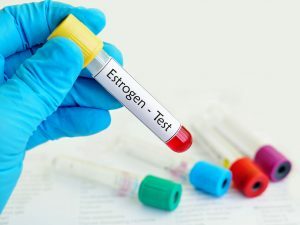 I thought it was really interesting to learn that some women can benefit from HRT to slow bone loss after menopause. Would this also be a viable solution for treating osteoporotic fractures? I’m curious to know since my wife was recently informed that she has a very high risk of developing osteoporosis in the next couple of years, and I’d like to know what treatment options could be helpful for her. John did not rate this post. 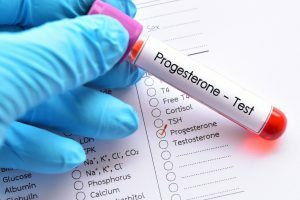 I was interested to learn that a cause of osteoporosis was the lack of hormones in the body due to menopause. It’s amazing what functions the body has and that a “small” thing can have such a big difference on the body. My mom has hit menopause which means her chances of getting osteoporosis is increased. I’ll be sure to let her know of this and to take further precautions on her activity and vitamin intake as to lessen her chances of getting it. Kourtney Jensen did not rate this post. My family is always worried that my grandmother is going to be at risk for osteoporosis, and we are wanting to know more about it before anything serious happens. It’s good to know that one way to help prevent it is to have her preform weight bearing exercises to help prevent it as much as we can. This is something that we are going to encourage her to do more, like taking more walks and such, that way we can hopefully keep her as healthy as possible. Harper Campbell did not rate this post. Thanks for the tips on overcoming osteoporosis. My mom has been diagnosed with it, and she is really worried about it. Is weight bearing exercise still a good idea for her? Will it help minimize the problems, instead of prevent them? Ridley Fitzgerald did not rate this post. Proper nutrition and balance of hormone levels is important for bone health and overall health as we reach the later stages in life. Weight bearing exercises are highly suggested as we age to help maintain muscle mass, balance and stability. 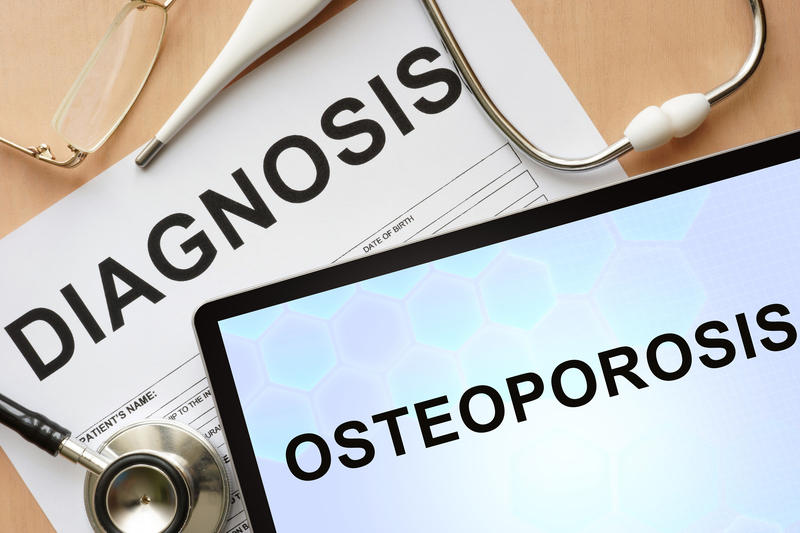 That being said it is important to discuss with a healthcare professional and many times a bone density test is suggested to see where the individual is at regarding his or her osteoporosis.